Why kids love cardboard boxes more than the toys that are packaged inside is one of life’s great mysteries. There are plenty of mysteries to solve when raising children, but with the advent of the Hodgepodge play crate, maybe the beloved cardboard box dilemma isn’t one we need to bother solving. 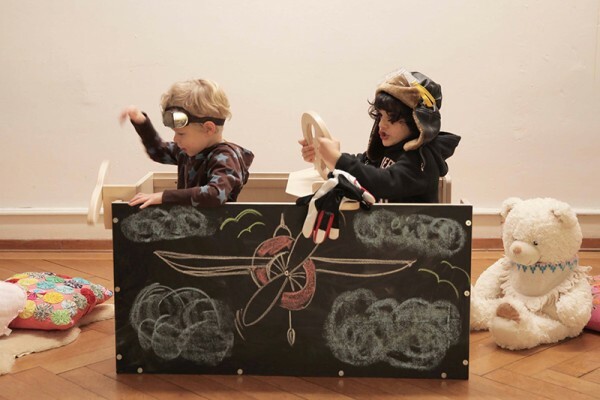 The Hodgepodge play crate by German toymaker Allerlei Spielkiste is a modular wooden toy that has all the kid-attracting charm of a cardboard box without looking like you left the recycling in the middle of the lounge. Made from natural birch plywood, the Hodgepodge has six play modules: an aeroplane, a castle, a clubhouse, a car, a noble steed and a ship. 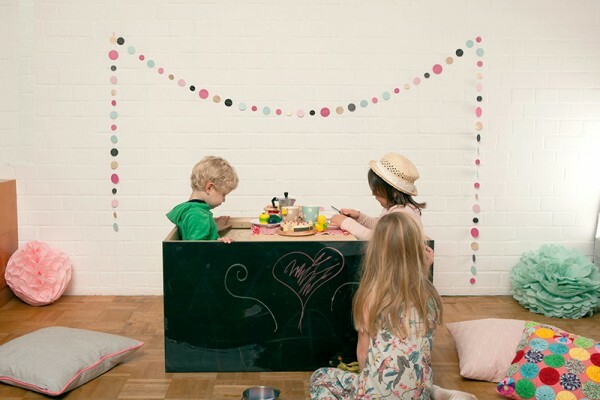 There’s a big chalkboard on the side to decorate and plenty of room for up to four kids to sit inside. Making props like castle-attacking dragons are a nice rainy day activity. At €1299, this is a significant purchase to be sure, but it’s the sort of thing that can be given jointly to siblings. And maybe it’s the sort of thing that will stop them squabbling in the afternoon while you’re trying to cobble together an acceptable dinner. If it works, I reckon it’s worth every penny. In a move that’s decidedly old school, orders are made via downloaded form.